Two years after Disney produced the chess-themed "Queen of Katwe", a D.C. crew has presented a short documentary on a similar subject. 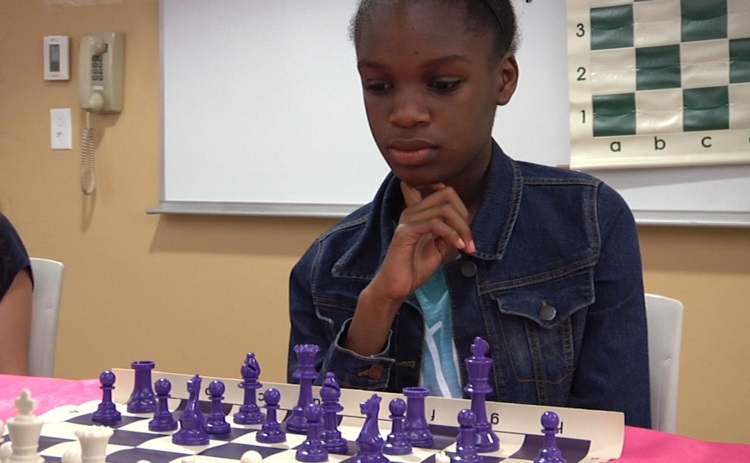 "Queens in Training" tells the story of two African-American girls that are getting ready to participate in a city-wide chess tournament in Washington D.C. The documentary brings to light the social difficulties that arise when a minority group strives towards a goal in a sport historically dominated by white men. This short documentary demonstrates the lessons and experiences we learn growing up: winning, losing, striving toward a goal and overcoming the pressures and obstacles of society. It provides a thrilling insight into facing a challenge head-on through the eyes of a child. Deanna Del Ciello was one of the producers and gave an interview to the Wera 96.7 radio station. She mentioned that the people who actually noticed the relevance of this project were the adults that surrounded the competitors — parents, trainers, organizers — while the girls simply enjoyed the game, ignoring the societal themes involved. They’re all weak, all women. They’re stupid compared to men. They shouldn’t play chess. Perhaps it is slightly soothing for those who appreciate Bobby's playing ability to remember that his opinion on women was not an isolated event, as he later went on to live in isolation and remained a conspiracy theorist until his final days — his mental health definitely an issue. Queens in Training is an official selection of seven film festivals so far: Austin Under the Stars, Alexandria Film Festival, Docs in Progress Community Stories, WAMMFest, The Women’s Film Festival, Soul 4 Reel Film Festival, and FilmFest DC. It won the Best Ensemble Cast award at Austin Under the Stars, and was nominated for the Best Short and Wonder Woman awards at the festival.